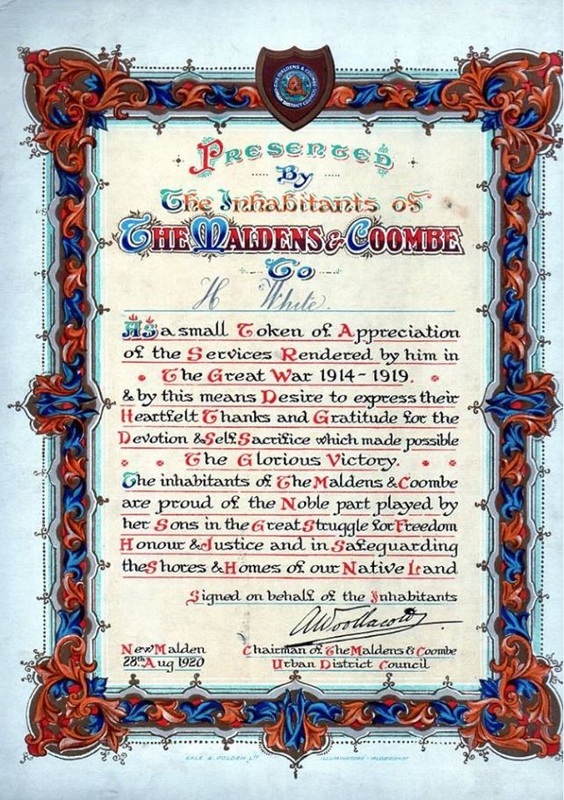 The first meeting of the Maldens and Coombe Emergency and Recruiting Committee was held on 2nd September in the Council Offices (now Waitrose) with Admiral Sir Cyprian Bridge in the chair. There was to be a mass recruitment rally in Beverley Park at 5.30pm on 5th September, it was hoped to recruit 200 local men to form two companies in the East Surrey Regiment. There was also a request that all sporting clubs in the district postpone their fixtures on the same day to encourage recruitment. It was also announced by the committee that a register would be kept of all local men at the front and their progress throughout the war. These men would be found employment when hostilities ceased and would be included on a roll of honour.